What if you could visit the International Space Station, join its crew for their daily activities and even go outside on a spacewalk — all without having to leave your home, let alone the ground? 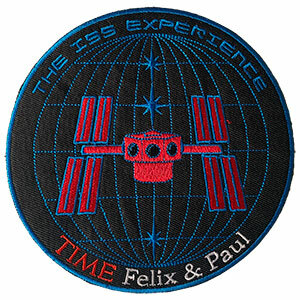 That is the ambitious idea behind The ISS Experience, an immersive documentary series from TIME and Felix & Paul Studios. 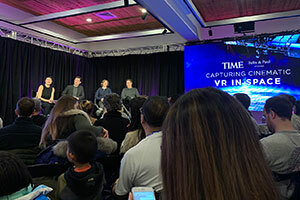 Now being filmed on board the space station, the yearlong project was announced at the Sundance Film Festival in Park City, Utah on Saturday (Jan. 26). 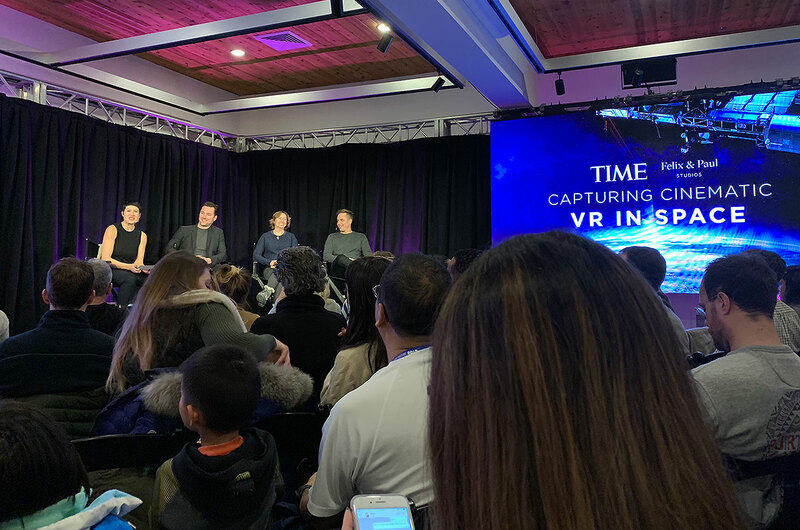 "We will take audiences inside and outside of the space station through the immersive and experiential power of virtual reality," said Félix Lajeunesse, creative director at Felix & Paul Studios. "We're going to look at the research, the science and the work that is done on the International Space Station. And we're also going to look closely at the reality and challenges of learning to live in space." "Most of what we will film is going to be captured inside of the space station over a period of about nine months. But as the story builds up, it's going to gradually ramp up to a spacewalk, where we will take audiences outside the space station, alongside the astronauts, to capture the first ever cinematic VR spacewalk. We're pretty excited," said Lajeunesse. TIME and Felix & Paul Studios partnered with the space services firm NanoRacks and the not-for-profit Center for the Advancement for Science in Space (CASIS), which manages the U.S. National Lab on board the space station for NASA, to launch two cinematic virtual reality camera systems on board a SpaceX Dragon cargo spacecraft in December. The project's first VR scene was filmed on Friday. 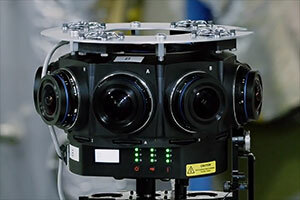 "Building a camera that is ready for space is a challenge," explained Lajeunesse. "We started from an existing camera called the Z CAM and built a custom, made-for-space motorized rig." 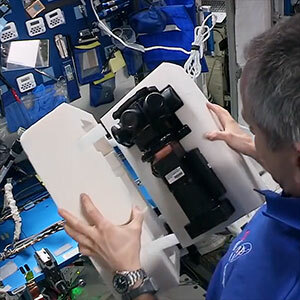 The mounted platform — the camera does not float free in microgravity — is configured by the astronauts, with support by Lajeunesse and his team from the ground. The rig then controls the rotation of the camera as it captures scenes in 360-degree stereoscopic 3D. First though, the camera has be carefully positioned aboard the space station. "A very vital thing to virtual reality storytelling is where you actually place the camera, and in our practice at the studio, we like to think of the virtual reality camera as if it were a person. We generally want to place that VR camera where a person could actually physically be or stand, and that's a massive factor in building a sense of immersion for audiences," said Lajeunesse. "That's good on Earth, but when you bring that philosophy to the space station, then it brings a lot of problems, because the space is not that big on the station and there's some pretty critical operations being done by the astronauts in space where a big camera could be in the way," he described. To address this, The ISS Experience team met with its partners and NASA to map out in advance everywhere that the camera could and could not go, and what scenes would fit within the 184 hours of crew time that the agency agreed to set aside for the project. "It is a balancing act between our creative desires and the reality of the logistics in space," said Lajeunesse. "And I could talk about downloading gigantic amounts of data from space. I could talk about scheduling shots. Everything is complex, but everything is very rewarding at the same time." The complexity will only increase when The ISS Experience moves outside of the station. 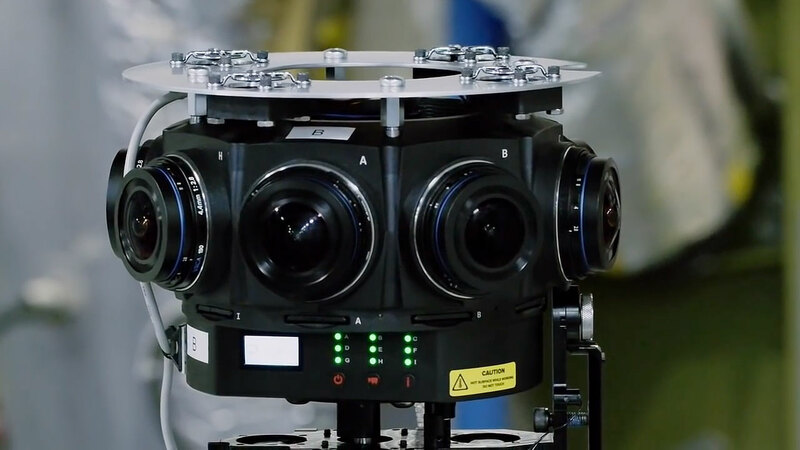 Two additional VR cameras are slated to launch to the orbiting outpost later this year, each built to film outside of the station and to capture the first-ever extravehicular activity (EVA, or spacewalk) in cinematic virtual reality. "When I first heard they wanted to use the camera outside of the space station, on an EVA, I thought, no way. No way will anyone approve that, there's no way that's going to happen," joked Liz Warren, associate ISS program scientist with CASIS. "So [that it was approved], we're super excited." The idea of how to accomplish the spacewalk came from Jonathan Woods, the executive producer for the project at TIME, though he did not expect anyone to take his proposal seriously. "We were sitting around and we were like, 'Well, how are we going to film this outside?' And I was like — and this was totally a joke — I was like, 'Let's put it on the Canadarm.' And they [the team at NanoRacks] said that's a really good idea," recalled Woods, referring to the Canadarm2 robotic arm that was used to build and now maintain the space station. "And I'm like, 'Yeah, it'll be like the biggest jib arm ever!'" "It was totally a joke, and they said that it actually could work," said Woods. 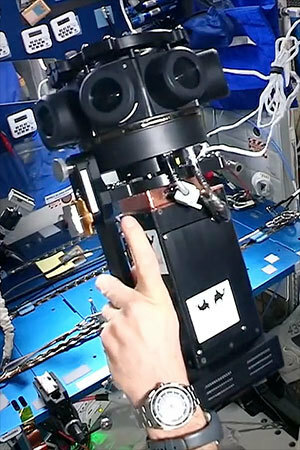 Depending on the spacewalk that is chosen for the shoot, the VR camera will be mounted on either the Canadarm2 robotic arm, the Japanese robotic arm that is mounted at the end of the Kibo module or on Dextre, a two-armed manipulator, all of which can be controlled from the ground. 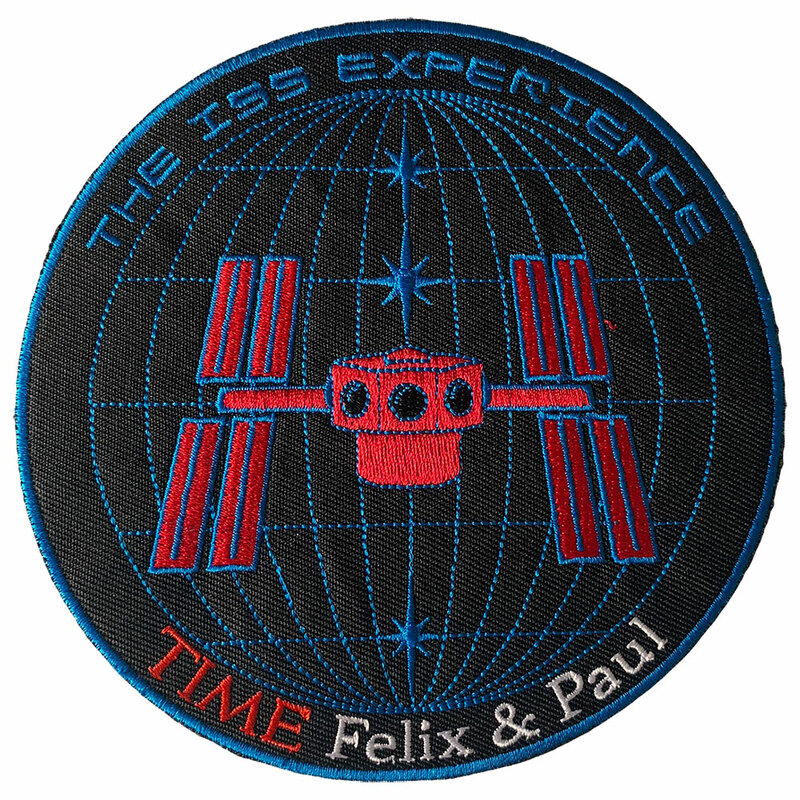 When they complete filming, slated for late 2019, TIME and Felix & Paul Studios plan to present The ISS Experience through augmented reality, virtual reality and other immersive platforms, including a touring museum installation. If successful, the project will provide the public a chance to see what the astronauts experience in a way that will come closer to actually flying in space than any previous media. "There's no more immersive way of feeling like you were there with the crew than this virtual reality technology. 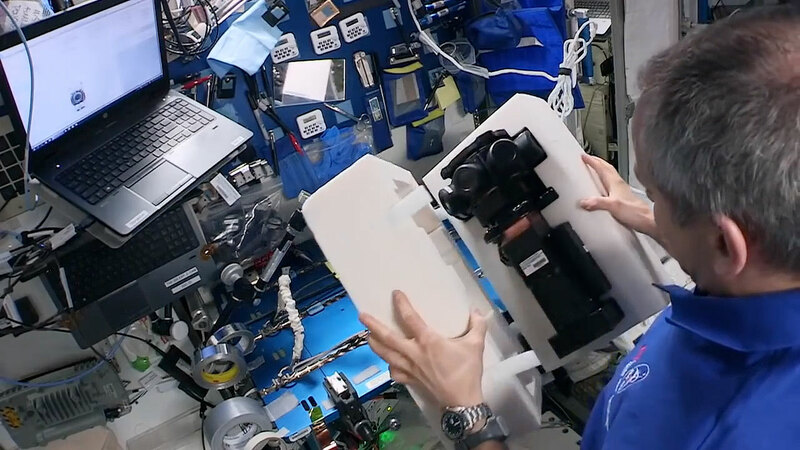 There are 3D versions, there is video, but to actually feel like you're there, I think that is what is really exciting to NASA and is very exciting to the ISS National Lab," said Warren. "The astronauts struggle to share their experiences. It is why they take so many pictures and they are on Twitter. They are trying to share their experiences with those of us on the ground because their great voyage, their great exploration is something that is in all of us. It is in our DNA to explore," she said.